The bad news is you’re about to realize you lost something you didn’t even know you had. The good news is that there’s a tool that will help you make sure it doesn’t happen again AND will help you capitalize on building long-term relationships with your borrowers and agents. Sales Boomerang is an automated digital service that gleans data from multiple databases and pings you when life events happen in the lives of your borrowers — when they’re looking to move, when they have a baby, when their credit score reaches an important threshold… It even prompts you with scripts for how to approach them, giving both you and your contacts a frictionless experience. I know, I know. It sounds too good to be true. Welcome to the digital age. Geoff: So let’s get into my special guest this week. I’ve got a question for you. What if you could discover that you’ve overlooked millions of dollars in missed loan volume for yourself, happened right under your nose, and you didn’t even know it. What am I talking about here? I’m talking about my special guest, Alex Kutsishin, and his company Sales Boomerang. What do they do? Well, let’s see, do date, in just 13 months, they’ve helped clients discover over 5.8 billion in missed loan volume for their clients, in just 13 months. That’s what they do. Why do they do it? So they can help more borrowers get better loans and build a lifetime relationship with you, the lender. And why does it work? Because they’ve got the most comprehensive borrower intelligence system in the country. You want to talk about data? You want to talk about machine learning and automation to help you be aware of when your clients are potentially ready for a home loan? That’s exactly what they do. They’ve got almost three decades of mortgage and finance experience, technology marketing experience, and they’ve combined all these people and processes and technology to deliver what I think is one of the most amazing platforms I’ve heard about in a long time that help you capture more share of customer, help you build a fence around your clients, help you deliver more value, extend the relationship, and engagement with your clients but also referral partners as well. 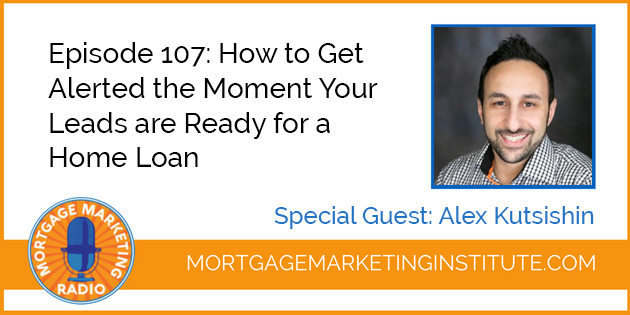 And one of the things I love about this talk with Alex is you can tell he’s dialed into the mortgage space. He understands the role of you and me, the loan officer in the trenches and the field every single day. Just listening to him is a lesson and scripting and talk tracts and how to engage with clients and referral partners. Even equally important is understanding how to leverage data to give you more “at bats.” Because if you’re not in the batter’s box, you can’t swing, and you can’t hit and have a base hit or a home run. Sales Boomerang helps you get in the batter’s box, helps you identify when those customers are doing things that are indicative of them being ripe, in the right time and opportunity for them to be possibly open to talking with you about mortgage financing. There’s a lot of things that go into that. So I’m going to let Alex explain it himself. He does a great job of that. We’re going to put link to everything he talked about in the show notes. I recommend that you go to SalesBoomerang.com, check out a demo. They’ve got some new options on their service platform that may be appropriate for you listening. Even if you’re just an individual lender, a loan officer, you’ve got a small team — not necessarily for enterprise only. So check out that in the show notes, and enjoy this episode. If you like it, hey, leave us a little love, a little review wherever you’re listening to this. So let’s get into this week’s special guest, Sales Boomerang with Alex Kutsishin. Geoff: Hey Alex, welcome to the show. Geoff: You bet man. So, uh, I really enjoyed the conversation we had before in prepping for this call. And uh, as you know, I do kind of a formal introduction separate from this, but I always like to allow the guest to give your personal version of, you know, tell me what you’re about, why Sales Boomerang, what do you guys do, why are you passionate about it? Alex: Man, you might need a whole hour for me to tell you why I’m passionate about it. Just going to sit back and enjoy yourself. Sale Boomerang is the first and only automated borrower intelligence system in the lending space. And look, I’d like to say that we’re the ones that came up with this wonderful concept, but we really just stole it from some small companies around the world, like the Googles of the world and the Amazons of the world in the Uber’s of the world, the Nests of the world that basically said, look, there’s nothing more important to us than over-serving our clients. Right? And do that, we need to understand them, to understand that we need to collect data, and to collect data, we need to make sure that it’s good data. It’s not just random data, it’s not just bad data. So we took the start of customer intelligence and business intelligence, which has been used now going on its twelfth year, I think, the customer intelligence strategy in these big, big businesses. And so we took that concept and we said, what if we brought it to the lending industry for one purpose and one purpose only — to simply align the interests between borrowers and lenders, right? If we could eliminate all the friction of having to guess. The way I like to talk about Geoff is, look, years ago, um, 20 years ago maybe every fishermen would go out on a boat and throw their hook in the water and hope that there’s fish there, right? They’ve been there before. So usually those fish there. That’s what they would use. This worked before in this area, so I’m going to do the same thing. And then somebody came up with what the fish radar. And today, 100 percent of every single fisherman, anytime you go deep sea fishing, every single captain is using the radar. Why? Because he doesn’t want to waste time, doesn’t want to waste his time, doesn’t want to waste the people’s time that paid to be on this boat. The people who do this for business as a whole, they don’t want to waste the time. So they don’t want to go fishing in places where there are no fish. And if they have the radar, they know exactly the type of fish it is. Guess what? They know what type of bait to throw in the water. That is sort of a very, a simplification of what we do here. We make sure to give lenders the ability to see everything that’s happening inside their database that’s relevant so they no longer have to spam their borrowers, their customers, with random information, but rather pinpoint the needs of each customer and be able to over serve them. Geoff: Alright. I love that. So in essence, what you’re saying is you’re providing loan officers, mortgage professionals, the ability to… For a simplified version of this is to become better fishermen and women. But I know a little bit about your tech is what you’re doing is you’re, you have the ability to help us identify when somebody might be ready for a mortgage financing need. Alex: That’s it, right? Yeah. We tell lenders when anybody in their database is ready for a loan. Geoff: Anybody in their database. Geoff: Right. So, so, so how the hell does that work? Alex: So when we started getting into into this industry, Geoff, the first few people we spoke to said this is revolutionary. Geoff: Well, it sounds it. Yeah. Alex: But I would correct them all the time. I would say, no, this is not revolutionary. This is evolutionary. This was bound to happen here. We’re just the ones that are making it happen. Right? The electric car. Are you surprised that we have an electric car? Alex: No. You’re like, hey, it was going to get there. Sooner or later at some point over the last 15 years you were like, you know what would make it better as electric? Some, some kind of electric driven vehicles rather than gas powered bombs. Right. Which is what we’re riding on. I get that from Elon Musk. Elon, if you watch this, that’s was yours. Geoff: I just watched his interview last night on 60 Minutes. So all of these things that happen manually then started happening in silos. This company has this data, this company has this data, this company has this data, and so people went and bought data, and the bought them. But it was digital paper. Here’s a box of data, look through it. right? Figure out what you need from it. And so we decided that that’s not the best use of data, right? We thought, what if we could marry the things together? What if we could marry the needs and where the data is and give it some rules and teach a system to do what a loan officer or branch manager, business owner was doing manually, but do it more efficiently, because if you teach it, it’s going to do consistent automatically. So we decided to go and find all the best data providers of all the data that all of these lenders, brokers, wholesale, all of these companies were asking for. We wanted to find the best quality data out there. And then we built a system that would automatically move the information from data warehouses and repositories of data to the lender, to the loan officer of that loan, specifically about a very specific borrower. So listing alerts, equity alerts, credit improvement alerts, you know, a life event, somebody getting married, having babies, debt information. All of these things we collected from our data partners. And then we funnel it. Geoff, you needed something. We funnel it to you when it’s relevant to you and to the borrower. Geoff: How do you, how do you get it to me? How do you funnel it to me? Alex: So either through APIs connecting right into your CRM. We’re partnered with all CRMs. Geoff: So I get an alert or something that says Sam Jones just checked his credit or something. Alex: Exactly right. Yeah. He just had to have his credit pulled for a mortgage product. And by the way, the reason we’re telling you this, Geoff, is not only because this person is shopping, but this person meets your minimum qualifying criteria. Geoff: Right. So you can put parameters around it so we don’t even get that notification unless it fits your criteria. Alex: Right. That’s it. That’s the point. Geoff: It minimizes the noise. Yeah. Alex: It eliminates the noise and it eliminate spam. Let’s go back to the fishing scenario. Why would you put a worm on a hook when sharks don’t eat worms, they want something else, right? Or whatever fish likes whatever it. Exactly. Yeah. Whereas, hey, where’s my. Where’s my first mate? Gimme that leg. Alex: If they’re listing their home for sale, you know what they’re planning to do, the equity in their home, you know, what you can do for them. If their credit has improved, you know what you can do for them. And so if you know the intent and you’re only positioning yourself for the value of that borrower, think about that for a second. The problem with this industry, and I’m going to butcher this a little bit because I don’t have it in front of me, but there was a crazy statistic of something like a hundred and 13 million leads were purchased last year for the mortgage industry. Have you heard the statistic? and only what $5 million loans funded, right? Well, let’s think about the waste. Look at 113 compared to five. It’s enormous. The waste is enormous. I was at a Total Expert conference in North Carolina last week, and somebody brought on stage said, hey, um, you know, we sometimes have our clients opting out of our communication. That’s a problem. Why? Why is your customer opting out of your messaging? Because they don’t want to hear about it because it’s not relevant to them. Right? So how do we make everything just relevant? I was at a different event with Anthony Costa and his whole group in Las Vegas. I won’t tell the name of the person that said this, but I’ll share the story. Somebody was telling me that their loan officer told them not too long ago… Hey, we’ll just use Bob his name. Hey Bob. Listen, I sent you a lot of mail. Sometimes it’s important, so I need you to check it. Geoff: How do I know when it’s important? Alex: Exactly. Why don’t we agree to only get important messages to me and everything else don’t send. Just important letters. So if I get one letter a year, I know I have to open it, otherwise we wouldn’t send it to me. That’s the same concept here. “Look, Mr and Mrs. Borrower, we invest heavily into technologies and resources to over serve you as a customer. Overserve. That means we need to be able to tell what’s happening in your life without you having to tell us, so we invest heavily. See all this technology here? We invest into knowing when your credit goes up, when you have equity, where you live. All of these things? Why? So we can be there for you and give you some options so that you know you don’t have to start the process over with a whole new company. If you forgot about us, you can come right back to us, right?” It’s just whatever happened. Somebody introduce you to another lender and you’re like, oh my goodness, I forgot about Alex. “Now we can call you and say, Hey, congratulations. It looks like you’re back in the market. We’d love to give you a second opinion or show you different options of coming back and working with us. And that’s the transparency that’s missing from this industry. And what does transparency? So I’m going to stick on the subject for just a second. Transparency, people feel, is about honesty, right? I’m transparent and being honest with you, but you know what it really is? Control. If I’m transparent, you’re in control, right? Geoff: Wait. If you’re transparent, who’s in control? The customer? Alex: You. The customer. I’m sitting here, and I got this bottle of water and you’re like, Hey Alex, I’m really thirsty. Do you have any water? And I’m like, nope. Uh, I see you drinking and now I don’t trust you. So I’m out. You’re in control. Right? But if I had a wall up when we were just on the, you know, we’re standing between a wall and you’re like, Alex, I’m really thirsty and I’m over there drinking. I can’t help you. I have nothing. You have no clue. You don’t know. Right. So you’re going to go check other places. Geoff: I liked that because that goes into the script, if you will, of, you know, at the end of the transaction, I know some of the best practices for top LOs is when they closed that loan and they start talking about, all right, let’s talk about what’s next. And that interrupts people’s’ pattern and, or like, what do you mean, what’s next? We just closed, we’re done. And you’re like, no, we’re not. Alex: It’s only the beginning. Alex: Yeah, exactly. So your technology helps do that. I want to let me get this out. Yeah, it fits perfectly well. You’re not saying that… I just want to make this clear for listeners. I think everybody agrees, like, you know, be there when it’s important, when it’s relevant and, and, and reduce and minimize or eliminate the noise and all the BS and the recipes that everybody sends, but you’re not saying to never send them that branding touch point communication, right? Alex: No, I’m not saying that. No, don’t stop, don’t stop doing the good things. Geoff: Forget the recipes though. Forget those. Alex: Get rid of the waste. Get rid of the waste. If we really talk about what are the real um, unfair advantages of anyone that’s using a service like Sales Boomerang versus somebody that’s not, number one, in 16 months, now we’re going into 16 months of being live. We have discovered, I mean, this is not hypothetical numbers, 6.5 billion dollars from our client’s databases — not the industry — that they missed out on. 6.5 billion dollars in loans. Geoff: So how do you know they missed out? Alex: Okay. So luckily we have really good data sources, right? We, we analyze the data from all of our data resources from the credit side, from public record side, and we can take a look at your database and say, hey, how many loans did you do? This is the loans you did this year. Let’s take them out. Check this out. Here are all the other ones that happened inside your database that you didn’t do. To the tune of 6.5 billion dollars. Geoff: I want to highlight that for a second. So you’re saying you can look at an LOs database, look at the loans they closed, look at the customers that are in there that did a mortgage transaction that they didn’t capture. Alex: Correct. Absolutely, yes. First of all, everyone misses out on hundreds of millions of dollars. Geoff: Sure. No one bats a thousand. But are you saying we can bat a thousand or up our average, that’s what we’re getting at. Alex: You can definitely up your average. You cannot bat a thousand, but you can step up to the plate 100 percent of the time. Geoff: And the rest is on you, loan officer. You better have your game. Alex: You got to swing for the business. The only problem is if you’re sitting on the bench and the pitcher is pitching, you’re striking out every time. You at least got to step up. Geoff: If you’re not even getting invited to the plate. Alex: That’s right. If you’re not in the batter’s box, forget about it. You’re losing. There’s no chance of winning. So, so number one, we help salvage all of those missed opportunities or at least bring them to people’s attention, right? So you have the ability to sell them. Geoff: Get them on the radar. Alex: Yeah, exactly right. Number one. That’s not true. Uh, if somebody tells you nothing is next, that’s the person who never want to work with. I’m telling you, there’s something next. Hold on a second. Did Alex just say that? You can schedule alone with someone? Yeah, you can. Think about this. When you go to a mechanic and you get your oil changed, does the mechanic go, “Hey Geoff, please come back next time”? Or does he stick a sticker on your window and says, “I’ll see you in 5,000 miles”? No questions. Same thing. I want to put a sticker on these borrowers to say, I’ll see you at 80 percent LTV, so get rid of that MI. I’ll see you at 700 percent FICO so we can lower your interest rate. I’ll see you at this time. We’ll see you at this time. Scheduling that right now with you. Why am I doing this? The beneficiary. Who’s the beneficiary? Just the borrower, right? Over-serving clients. That’s the concept. Not Possible without intelligence. Geoff: That’s pretty sweet, man. I mean, I didn’t know this was going to evolve into an awesome scripting conversation, but it is. You know as well as I do. Most LOS are not even having that conversation. Alex: Yeah. Oh No, no. All great interviews should evolve to be more than what you expect them to be. Right. You’re to delete them and never show it to the world. Geoff: That’s right. That’s right. Okay, so you have that conversation. Is there anything the borrower needs to do on their end? Alex: No. So the borrower doesn’t have to opt in. Geoff: Yeah, they just lived their life. Alex: They just lived their life. Geoff: But that goes into your scripting, like if you have Sales Boomerang, that goes into your scripting. “Part of my job is to help you manage your debt, the life changes, et cetera.” And I mean, do you do you suggest people say, um, “you know, one of the things that makes me different as an LO is, you know, I have a platform that helps me recognize when certain life situations happen”? Geoff: That’s awesome, by the way. Geoff: What does that mean? And you go, “well, I wish Alex would have told me that. He’s been my lender for six years. I can’t believe he didn’t tell me.” We never want that conversation to come out of our clients and their borrower’s experience. We always want the borrowers to know that they’re in a no borrower left behind lender. And so the the big audacious goals, if you read Jim Collins, is, can there be a situation where your borrowers are your borrowers, period? Think about this. Let me give you an example. You don’t change dentists every time you need something done with your teeth. And we’re trying to say, wait a second, there’s so much more we can do for you because this is our specialty. We specialize in home financing. How many people don’t know what they can do with their equity? I’d have to say more than 80, ninety percent. Don’t know that they could pay off their cars or pay for college or pay off credit cards with their equity. People don’t know that stuff. We have the curse of knowledge because we are in this industry, but the population as a whole misses so much about their home. Okay. Ready for a statistic. Black Knight. I don’t know if you saw the statistic a few months ago. I posted it on Linkedin, 6.5 million Americans miss their opportunity to refinance this year, which means there’s an aggregate overpayment of 1.5 billion dollars a month right now. Geoff: Can you identify those people? 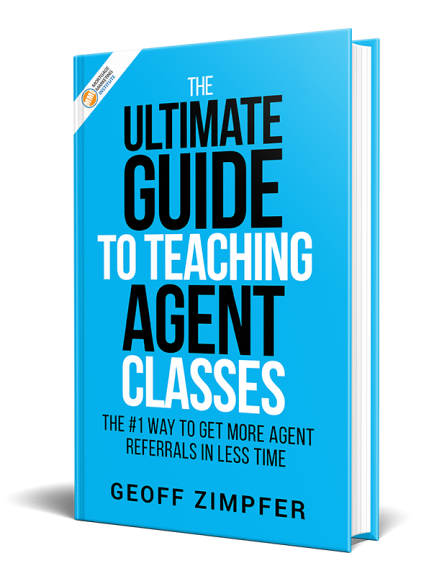 Geoff: It’s not only that, it’s also the fact that that lenders, just loan officers, let’s say, just stop contacting clients in most cases, right. You and I both know, and again, I’m not trying to, you know, just generally speaking, I know this from every day, you know, most people don’t have their CRM set up to remain top of mind, which is one of the reasons why they’re missing out. But secondly, if you had data that was working on your behalf, that alerted you that somebody is in that bucket where, hey man, rates are four, this person’s at five and a quarter. Ding, Ding, Ding. Right. It does the heavy lifting for you? Alex: Absolutely. And being integrated with a CRM is very important part of our business model, right? We, we, you know, we talked about Gary Vaynerchuk and dropping the F bomb. Here’s my favorite f word. Frictionless. Geoff: That’s my buzzword for 2019. Alex: Frictionless. Yeah, so, so we were born with the idea of being frictionless. One of the things we said when we were building out this product, if a loan officer has to input data and export data from our system, we’re not going live. It needs to be a completely automated and frictions. How do we make it frictionless? Well, we have to go to where their data is so they don’t have to tell us where it is. We go. Let’s say they’re on, I’m just going to use, since I use Total Expert already. They’re data insights, data insights. Instead of a company sending us data, uploading it into our system that come into our system and exporting it out to see all the alerts, we connect right into their CRM and a brand new lead enters their system, instantly comes to Sales Boomerang for tracking. Nobody has to tell it. We told the system what to pull out, right. We taught it, and then when there’s an alert on that person, it goes right back into their CRM and distributes it to the right loan officer at the right time and the right branch about the right borrower. Geoff: How, how does that get to the LOs, in an email or what are the options there? Alex: Borth. Right through the CRM and by email. Geoff: Okay, so an alert pops up in the CRM. Alex: Yeah, and then we also handle all of their… So there’s some direct mail requirements when it comes to credit. Not all the notifications, but when it comes to credit modifications, the FCRA has guidelines that say, Hey, look, Geoff, if you’re going to be tracking this borrower for this certain credit activity, you must deliver a firm offer credit to them. Well that was another part of our business models to say, look, if this has to happen, and we’re going to rely on lenders and brokers and loan officers have to deliver this letter, they could find themselves in a lot of trouble, because you get fined per borrower where that doesn’t receive the letter, if anyone reports it. So we facilitate the entire process for them. We sent all the letters on their behalf for them. Same reason, same thing. We tell a loan lenders to tell their borrowers this is all for them. This process, this direct mail delivering of the FOC is for the lender so they don’t have to try to figure it out. Geoff: Is that going to the conversation you have with the borrower too just as a heads up, you know, that that might be coming in the future? Alex: You’re Big Brother, right? Geoff: Yeah, yeah, yeah, exactly. Alex: So I always make a joke about this, that, yeah, we’re the big brother you want. The only beneficiary is the borrower. That’s the thing in this in this scenario. Geoff: You can opt out. Alex: You can opt out. Yeah. But this is for you. It doesn’t cost you a penny. We’re the ones investing. Geoff: I got to imagine when you present this…people listening right now, I mean, you know, in some cases the hair has to go stand up on the back of your neck. You know, you’re just like, Holy Nike’s Batman. You know what’s incredible? And I’d love to bring in some of our people in customer service or our success managers or salespeople, the new people to the industry that had never been in this industry, and when they sit in on a down, to hear one hundred percent of the time, people go, wow. Geoff: Oh yeah. I’m looking at a screenshot of your dashboard here. It’s nice. It’s clean. Great UI, you know. Alex: Oh. And we’re, we’re getting ready to roll out of brand new dashboard, a whole new UI in January. Brand new UI, brand new everything. We have brand new products we’re, we’re rolling out. Um, we, we built a relational database where everything communicates to each other. There’s no more siloed. A listing alert is no longer listing alert. Listing alert as part of somebody that had equity, had a credit change, had a baby, who lives in this house. It is, it is given you an entire profile of an alert based on a human being. So we’re bringing it all together. Yeah. And I wanted to, I was going to ask you about that anyways. Listing alerts that’s of the features or elements of your platform. So explain that a little bit. What does listening alert? Alex: So listening to their tracks every single listing in the country. It doesn’t matter if it’s a for sale by owner or you listed with a REALTOR®. We track, we have relationships with over 5,100 web properties online that collect listings from around the country, and we collect that data and we match it to your database. So if I’m in your database, Geoff and I list my home for sale, you’re going to know within 24 to 48 hours, you’re going to know, even the for sale by owners, right, which was the key thing when we went away from using MLS, we weren’t getting any of the for sale by owners. We went to building this new process and all of a sudden the number of alerts went up. Geoff: And so I’m listening to that from a sales marketing perspective. There’s a lot of opportunity to leverage that data right there. Alex: Well, there’s the opportunity to leverage all the data that we’re providing on and it’s by design. So for instance, one of the things that’s happened is when I got into this industry, we started developing this product in 2016, one of the things that I bumped into a lot was people saying how important REALTORS® are. I’m like, why? What do they have? They have the referrals, they have the leads. Top of the funnel. Well, and this goes to some conversations that Joe and Jeff from Total Expert we’re talking about in their conference, but is there really a funnel? Right? So let’s think about this for a second. Because there’s no such thing as a dead deal when you’re using this kind of intelligence in this kind of tracking. If somebody doesn’t qualify for a loan today, think about this. I’m going to give you a few scenarios where a realtor sends you an opportunity. The person simply does not qualify because of credit. A realtor is in the same position as a loan officer. They have to eat what they kill and guess what? They have to hunt every month because every month they start with zero. Every single year they start with zero. So if a loan officer can save one or two homes for a realtor, every single year — I’m talking about real homes — or a realtor sends a referral, a loan officer sends a lead because they’re qualified. A loan officer will have qualified this person before he sends him to a realtor. So there’s a dynamic change there. Um, you’re hoping somebody qualifies versus they’re qualified. They just need a home now. Geoff: So let me be clear. What you’re saying is you said save a deal, I think is what you said, “if a loan officer can save a deal.” Explain a little bit further. Are you saying that if we, it’s about qualifying or not. So you’re saying if the buyer can’t qualify using your platform, obviously we can bring that deal back later when they’re ready. Is that what you’re saying? Alex: Exactly right. When they’re ready. Here’s what happens. When somebody doesn’t qualify and they are upset, they’re not going back to that same realtor and loan officer. In most cases when they’re ready to go again, six months from now, they’re starting brand new. They need a new realtor, a new loan officer. It all happens again. We’re trying to say that is not the best interest of the borrower. Why start again? Geoff: We know that’s the fault of the individual, unfortunately, not staying in touch. Alex: It’s the conditioning of the individual, right? It’s a conditioning of the individual. These people said no to me. Geoff: I agree with what you’re saying. For the good LOs out there that are listening, I know they’re saying to themselves right now, not me, man. I stay in touch and help them do credit repair and all that stuff. This just automates the process, adds value, and as a loan officer, to be able to tell the realtor, look, every time you send them your referral, if they don’t qualify, I’m going to spend a ton of money and resources and when they aren’t qualified, I’m going to bring him back to you so you can do the home for them. So “Hey, realtors, trust me to look after everyone you refer to us, every single person, we’re going to know their life scenarios.” And guess what? By the way, the realtor is not allowed to know a lot of this stuff. All the right data, they can’t know. They’re not allowed. So they can’t even run this program if they want it to. So the must partner with companies like this or with people who have this program. So not only is this giving you a chance to look at your existing databases, but all of your referral partners and relationships are strengthened, right? There’s a real bond now. It’s like a realtor feels like if he sends you a referral and that that person doesn’t qualify like you did something wrong, But you didn’t do anything wrong. You’re just looking at the situation. Right? Geoff: I love it, man. I think it’s a great value proposition that I’ve been preaching it for a long time, but this actually gives you some teeth into that. A partner instead of a vendor. And we’re working on automation there, on sending things to the realtor partner. Instantly. When you get a notification, something that says, “Hey, realtor, partner, give me a call. One of our clients has some activities going on. I want to talk to you about it. “Instantly without you having to go, Who’s the realtor? No, it’s already in the data, so send them a message. Geoff: So you input that data from the beginning. You’re teamed up with, you know, Sally Jo, realtor, and then wow, that’s really cool, man. Very cool. Very cool. I love it. Alex: That’s all the things that we’re trying to build in 2019 is relational communication, right? Right now we brought everything together. You don’t have to go to 20 different vendors to get all the things we’re getting. We give you all in one with a lot of the psychology behind scripting, right? We have the scripts for every single alert. We have templates, email, and text message templates that you can input into your CRM to automate communication to your borrowers, right? So where do you go to a data company like an Experian, and you’ll say, hey Experian give me this credit data. Tthey give it to you. Then you have to figure out everything else. We say forget about that. Not only will we get the best data, not only what we deliver it to you without you asking for it, but it will be automatically delivered to you, but we’ll also tell you the best way to approach the borrowers with this. Here’s language, right? Remember the word frictionless. We’re trying to eliminate friction. How can we, how can we speed things up and eliminate steps that have to manually be done? Oh, I just got this notification. Tap, tap, tap on my keyboard. I got to send this to someone. Well, why should you tap on the keyboard to send it to someone when that someone should get it automatically. Take that step away. So those are the things we’re trying to bring together now, is completely automated intelligence system. Geoff: So to go back to that fishing a metaphor, if you will. Um, instead of like teaching LOs to fish, you’re like putting fish in the net, man. Geoff: You’re giving them fish farms. Alex: You can see them from all, from all angles, from the bottom up, you can see what they’re doing, how they’re doing, and which fish are swimming towards food. Right? Oh shoot. That one is hungry. Geoff: That’s awesome. Alright, let’s do this. Just for sake of time, we’ve got to transition, uh, how, how would somebody, I mean we know, I’ll put the link into your website in the show notes, Sales Boomerang.com, but what are the options for those who want to want to learn more? Can get an individual LO use this? Is it company only. Tell us briefly about that. Alex: Yeah, great question. We started off as, as… so very interesting transition. In beta, we were working with directly with loan officers, just trying to figure out if this was real. Once we’ve launched an formulized our products and all the things we’re going to be offering in July of 2017, we said let’s launch the full product. Boom. And then the goal became enterprise because we realized, first of all, the product is expensive. At that time, we didn’t have anything less than $3,000 a month available. So that’s a starting enterprise solution price. Um, but recently because of our relationship with Anthony and aim and the whole idea of rhyme and all those things that coming, we said we have to find a way to create smaller package options and still keep all the integrity of the process, of the automation, of the intelligence, but lower the price. So yes, we can work with smaller groups or loan officers. Our ideal audience is still enterprise because we believe that if the entire company is using it, it helps everyone in the company. Just one branch is using it. It’s not like a CRM or some kind of marketing automation. This is one of those things where all of this intelligence helps everyone, helps the entire company because of the confidence and all those things we talked about. So yes, we can work with loan officers. Yes, we can work with branches. Yes, we can work with enterprise wholesale. We have wholesale. We have credit unions. We work with lenders, brokers, a depository banks. When you’re talking about being an intelligence engine, it serves everyone. And I hate to say that because serving everyone is serving no one, but it serves everyone and their own needs because they control the dials. I want to get listing alerts, I want to get equity. They control the dials, so for them, it’s going to make sense for them. For lenders sitting next to them. they wouldn’t set the dials that way. They would set them a little different. Does that help? Geoff: Yeah, no, definitely. Definitely helps. I would say for those listening who want to learn more. oabviously you go to SalesBoomerang.com and request a demo, right? I mean, just start to investigate. Alex: Yeah. Request a demo. Uh, you know, ideal customers are those that spend money in marketing and advertising now, those that invest heavily in technology, that have a strategy, that aren’t just going to try to use this to save their business, but to grow their business. This isn’t, this isn’t a life vest, right? This isn’t one of those products. This is a strategy. This is a, we’re doing this. We’re going to know everything there is to know about our customer base, which by the way, we try to change the word database, because data is cold, to customer base. Customers are warm. Now you have a customer base because you’re tracking all that information. So you can go to the website, schedule a demo. It’s a quick demo. We don’t get into lots of heavy tech stuff. This is more about the fun things about what’s happening in your database. Get a loan loss report from us so you can see all the loans you lost. I recommend having some kind of brown liquor available when you’re looking at it because it is painful. Alex: It is and we always laugh that you better be sitting down for this. The first one, we delivered was one for a very small group, and then they missed out on like 34 or $44 million dollars in loan volume. And they were a group that only did like $20 million a year. They’re small group, and when they saw more than double of what they normally do actually came out of their database, that was eye opening moment for us. Geoff: No, I just thought about this also with the growth of the HELOC now with the equity and people applying at their local banks. That’s a missed opportunity there. Alex: Absolutely. All of that. And, and let me take this time on your show. I’m going to. I’m going to announce this on your show. Geoff: All right, let’s go, baby. Alex: I was going to use Linkedin, but I’m going to do it right here. Geoff: You’re reaching over 10,000 LOs, so let’s do it. Alex: Here we go. I’m happy to announce that I’m an NMP has chosen me as one of the 40 under 40 this year. Geoff: Oh really? Congratulations, man. Kudos. We need some brown liquor to cheer that. Alex: I have it somewhere in the desk. We celebrate here all the time. We celebrate small and big wins. We’re excited about that and excited to be in this industry. It’s fun. Geoff: Yeah, and that’s what I wanted to have you guys on. 2019 is going to be a year of, I think, additional pivot and change and, and forcing LOs to become a modern originator. Right? And part of that is intelligently leveraging data. And to use your word, which is funny because I’ve been using that as well, remove the friction. Um, last time you and I talked, it’s just the bottom line is this. The companies that are setting the consumer expectation are people like Amazon and Uber and Lyft and Nest all that kind of jazz, and borrowers are starting to expect that as well. So your platform helps us get into that same game level, you know what I mean? Alex: Yes. It is truly leveling the playing field. Where those companies are spending tens of millions and hundreds of millions of dollars to develop those things for themselves, we’ve created a standard process that doesn’t cost millions and millions for somebody to use. Geoff: Right on. Alright, so people go check out Sales Boomerang.com. 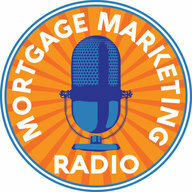 Let them know that, uh, you heard about it through the show Mortgage Marketing Radio. Alex, man, I can’t thank you enough for being here. Appreciate it. Alex: Listen, man. I appreciate it. Thank you so much for having me on. I had a blast. Geoff: Oh yeah, man. Anytime. And listeners, as always, thank you for tuning in. We appreciate you. If you liked this episode, you know what to do. Share some love. I’ll see on the next one guys. Bye for now.